A conversation with Rich Sheridan, CEO of Menlo Innovations, on how agile methods enable his team to build a sustainable and humane work pace while still meeting the needs of his business. 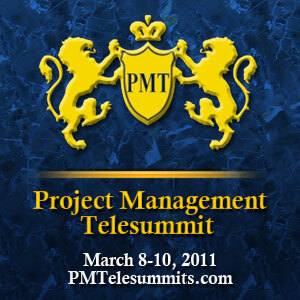 Brought to you by: Project Management Telesummit: March 8-10, 2011 – Don’t miss hearing Rich speak at the Telesummit. Software development projects are notorious for being driven by emergencies and constantly shifting priorities. This often leads to long days, nights and weekends for everyone involved in the project. My guest today says it does not have to be that way. What if the process you adopt allows you to never work weekends or nights again and yet still accomplishes the business goal by the deadline? Today, I have the distinct pleasure to chat with Rich Sheridan, CEO of Menlo Innovations, about his 10 years experience using specific agile processes that enable a sustainable, humane work pace while still meeting the needs of his business. The result is high morale, better quality, and a work/life balance that most employers and employees can only dream about. 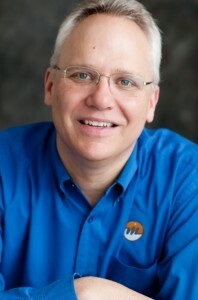 Rich will share with us how estimation, planning, and emergencies are handled as well as how resources are assigned to multiple projects in a way that is both efficient and effective for cross-training and mentoring. Richard Sheridan’s team at Menlo Innovations breaks all the rules and, in doing so, produces phenomenal results for its customers. No walls, offices, doors or cubes — one big open room, a la Edison’s original invention factory in Menlo Park, New Jersey. In this noisy, fun atmosphere Menlo has produced software for all walks of industry from health care, to scientific equipment, to high-fashion ecommerce, to diesel motor vehicle diagnostics, and many more. Sheridan and his team regularly are invited to present nationally and internationally sharing the secrets of the Menlo Software Factory™ with all who wish to learn how to build a Learning Organization that can keep pace with today’s advances in software and design. He has been working with Agile teams for more than a decade and has recently undertaken a new mission: returning joy to the world of software development. Or read the full transcripts here. How did you get interested in the topic of a sustainable work pace and why should project managers pay attention to this topic? Define for us what you mean by a sustainable work pace and why it is challenging to achieve this state with the current ways we manage projects. At a high level, how does agile enable sustainable work pace? 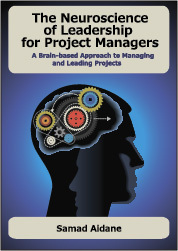 You describe current planning process in most organization as “emergency driven PM”. Describe to us what you see as inefficient way of planning and contrast that with the agile planning process. Talk to us about what you see wrong with this approach and how you approach planning using the weekly “planning game” in the Menlo Software Factory. Tell us about the type of work that you do as part of Menlo Innovations and give us examples of types of projects that shows how you help your clients achieve their goals. Several books reference Menlo’s unique approach including Creativity @ Work by Jeff DeGraff, and Innovate Like Edison by Michael Gelb and Sarah Miller Caldicott.